It is white and it is deadly for squids. Just presented on EFTTEX in Budapest this model gathered a lot of interest. There are several special unique characteristics. Body of the squid jig is green glow. 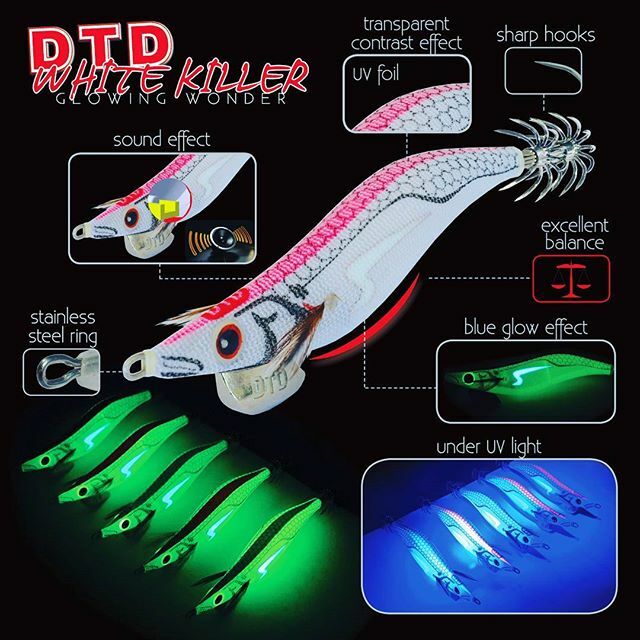 Label on the top of the product is UV active, increases visibility of product in day fishing and special label on the side of the lure is blue glow. Blue light, because of its wave length, is very visible in the sea and increases visibility in dark conditions. This product just can not be unnoticed. Ideal for all conditions.